Talented songwriter Jessica Frech is best known for her musical compilations based on The People of Walmart, a website with a collection of the exceptional characters you might come in contact with while shopping at a Walmart store. The video lead to her national recognition on Fox News, ABC News, Jimmy Fallon, AOL and MSNBC. But these are only some of Jessica’s accomplishments. The young internet starlet also has a YouTube channel full of songs she writes and a full-length album she recorded in 2012, called Reality. Her witty writing skills also landed her a job writing songs for Hyundai’s national holiday campaign in 2011, and contributions to the ever popular news site, BuzzFeed. On her YouTube Channel, you’ll find a broad range of entertaining videos– some are parodies, others are holiday themed, while others shed light on social issues like bullying prevention. Frech’s versatile songwriting ability is evident in her work. Today, the talented 22-year-old songstress sits down with UChic to discuss her music career, YouTube success, and her life as a regular college gal at Belmont University in Nashville, Tennessee. UChic: Jessica, it’s obvious you’re always working hard to make songs your fans will love. How do you choose what you will write about next? Jessica: Well thank you, but when you’re doing what you love, it doesn’t feel like work! I like to be challenged as a songwriter, and I enjoy the song challenges my followers ask me to perform. We’ve had a lot of fun with them, and it’s a great way for me to figure out what my fans want to hear. It’s also a great resume builder to show that I can write about almost anything, from the woes of airport security to the un-admitable joys of Facebook creeping. I use YouTube comments as feedback and the “thumbs up”/ “thumbs down” on YouTube as feedback as well. UChic: When you made your People of Walmart videos, they were major hits. How did you come up with all the different descriptions for the people, and more importantly, how were you able to make all of them rhyme? Jessica: Haha, well my friends really helped me and we had a lot of fun with it. We were intrigued by the people’s outfits, hair and overall impression so it was actually an easy project. Once we added the verses to go with the photos, I wrote the chorus and the rest was history. UChic: How do you balance being a regular college student, your current success on YouTube, and all of your other projects? Jessica: It can be hard sometimes—keeping up with classes, making YouTube videos, and promoting the album, but I definitely think you have to budget time so you can enjoy yourself. Making videos is definitely a lot of work and there are definitely times when it gets hard, but then I am quickly brought back to the perspective that I am doing what I love and that my family, friends and supporters are all rooting for me! 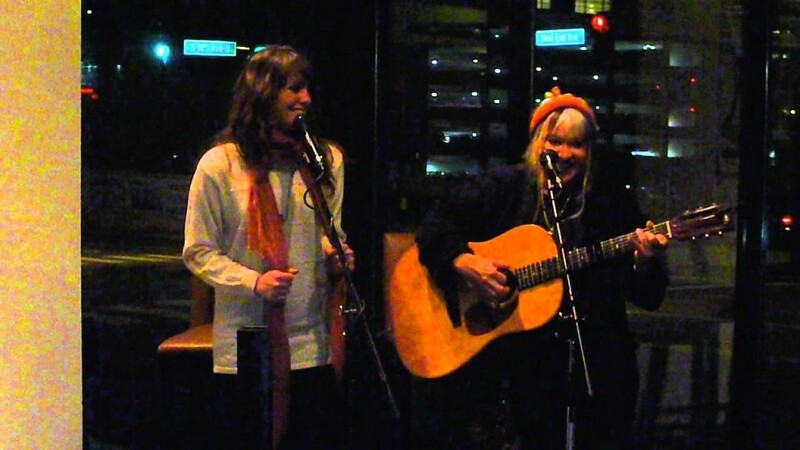 UChic: We know that you and your mentor, legendary singer-songwriter Melanie Safka have an awesome relationship. How important is it to have a counselor or adviser in your field? Jessica: It’s so important to have someone who supports you and understands where you want go career- wise. It’s also great to have someone you can trust and give you guidance. I have been so lucky to have Melanie help me with my songwriting, she’s the best! The PR person I work with as well as my professors in the music department have also been a big help. UChic: It seems like there are a lot of different ways to be successful in the entertainment industry. Why did you decide to major in Songwriting at Belmont University? Jessica: Even though I’ve always known I’ve wanted to work in the music industry, college has been so important for keeping me grounded and realistic. Having a degree in a field I’m in love with gives me that much more confidence as a songwriter.You should do what you love, live your dreams, and most importantly, never stop educating yourself. UChic: Where do you see yourself in ten years? I’d love to work for Saturday Night Live making skits and writing songs that will make people laugh. To me, there’s no better job than that. Well it sure sounds like you’re on your way, Jessica! Check out her website for the lowdown on all her latest projects and be on the lookout for her new single in April 2014. Have a song challenge for Jessica? Contact her at Jessica@jessicamusic.com.